Have you a student in 2nd or 3rd level education that spends hours studying, but their exam results don’t mirror that? Or have you a student that tells you that they have no idea how to go about studying and just give up? 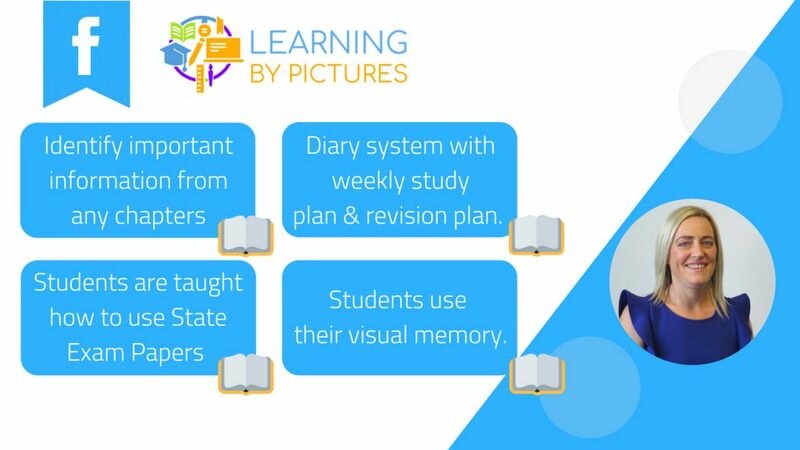 Learning by Pictures is a study skills course teaching students how to study and plan revisions by using their visual memories. I teach them to be able to identify the most important information from any chapter of any subject and turn this information into a visual image. I also teach them a diary system that will have them planning six weeks in advance, what exact subject and chapter they will be revising. The Learning by Pictures program can be taught in groups or one to one. How to identify the most important information from any chapter from any subject and turn into visual images which improve long-term memory. This method has been proven to reduce revision time by 95%. How to use State Exam Papers as early as 1st year and they will become very aware of the way exam questions are asked and the marking scheme. A diary system is put into place so students can have a weekly study plan as well as a revision plan. Parents are invited to stay as they can support their child at home implementing the Learning by Pictures program. 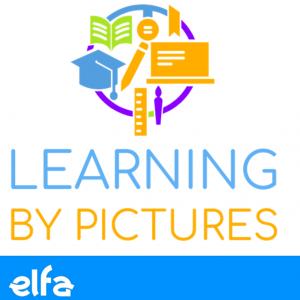 The Learning by Pictures study skills programmes is available as a one to one 3-hour-long session or as a group session for up to 10 students. I brought my daughter who is in leaving cert to Breda. I can honestly say it was the best learning technique I have ever seen, simple and easy to understand and I think what Breda does should be brought into every school. My daughter connected with Breda straight away and made her feel at ease, the 3 hours flew. I know that my daughter is 6 weeks away from her Leaving Cert but what she learned she can put into practice straight away and it will also help hugely when she goes to college. I brought my daughter who is in leaving cert to Breda. I can honestly say it was the best learning technique I have ever seen, simple and easy to understand and I think what Breda does should be brought into every school. My daughter connected with Breda straight away and made her feel at ease, the 3 hours flew. I know that my daughter is 6 weeks away from her Leaving Cert but what she learned she can put into practice straight away and it will also help hugely when she goes to college. I cannot recommend this highly enough, Thank you Breda . Thank you Learning by Pictures for easing the stress of exams! This was a well spent Saturday morning! Thinking outside the box & using creativity, colour & scientifically backed up tips to self motivate.